We have become an unparalleled name in manufacturing and supplying premium quality Unipaver Tiles to the clients. Used to enhance the beauty of floors, these tiles are specifically designed for making walkways, pathways, flooring, parking pavements and other rugged bases. 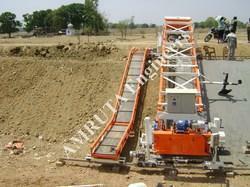 UR organization is engaged in manufacturing and supplying a comprehensive array of Pavers Block. The product is manufactured using finest quality material. These blocks are offered in unique interlocking shapes. Moreover, it also helps in interlocking of individual tiles with the surrounding blocks. We present a comprehensive range of Concrete Paver Blocks that has engaged lots of hard work to get designed and processed with super fine polish and finish. This can add additional charm to your edifice as these paver blocks are bestowed with beautiful designs and patterns. Available in sizes of 115mm x 230 mm, these are able to cater varied requirements of our clients.